A proposed bill could require that all convicted drunk drivers have an ignition interlock device installed in their cars. This rule would apply to ALL convicted drunk drivers, instead of just repeat offenders like the current law states. These devices require a driver to breathe into them and would only start the car if their blood alcohol content was within the legal limit. These devices aim to reduce the risks of drunk driving car accidents in Massachusetts. The use of these devices started back in 2005 as a part of Melanie’s Law. The law was named after a 13-year-old girl who was hit by a repeat offender when she was walking down a street in Marshfield. Our Boston drunk driving accident attorneys understand that in many of these drunk driving accidents, it is innocent motorists and pedestrians that suffer the most. Ignition interlock devices are one way to help prevent innocent residents from being seriously injured, or killed, in an accident with one of these intoxicated drivers. The bill, sponsored by Sen. Robert Hedlund, would require that first-time offenders have these devices installed in their vehicles for six months once they’ve received their driver’s license back. Repeat offenders would be required to have the device in their car for two years, according to 22 News. Those who support the bill also believe that these devices would be an effective tool in preventing first-time offenders from becoming repeat offenders. During the testimony in support of the bill, supporters will be demonstrating these devices on a vehicle that will be parked near the capitol. They will be offering their testimony to the Transportation Advisory Committee. Last session, the committee endorsed a similar bill. That bill failed to make to make it through the Senate Ways and Means Committee. “Everything in that bill was dealing with repeat offenders. We don’t do enough to prevent them from becoming repeat offenders,” DeIuliis said. According to Mothers Against Drunk Driving, Connecticut lawmakers were recently able to pass similar legislation for first-time offenders. It was the15th state to use ignition interlocking devices. 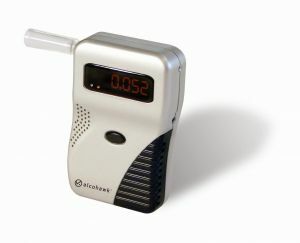 Not only will those convicted of a DUI be required to breathe into the device to start the vehicle, they’ll also have to complete “rolling tests,” which force the driver to randomly blow into the device once the car is in motion. These rolling tests are to prevent drunk drivers from having someone else blow to get the car started. “I have come around as a believer in the technology. I have heard from people who say ‘it has helped me from getting into difficult situations,’ ” Hedlund said, talking about conversations he had with repeat offenders. Nearly 550 drivers have been required to use the device. Each driver must pay $91 a month for the device.